Though the portrait of the bristlemouth is incomplete, scientists know enough to confidently assert that it far outstrips all other contenders for the title of most common vertebrate on the planet. Noah Strycker, the author of “The Thing With Feathers,” a book about birds, recently told an interviewer that the domestic chicken “has more numbers” than any other vertebrate. He put the planetary figure at 24 billion. In contrast, ichthyologists put the likely figure for bristlemouths at hundreds of trillions — and perhaps quadrillions, or thousands of trillions. Much more on the history and mystery of this “really unfishlike” fish at NYT. Contact the author at rtgonzalez@io9.com. 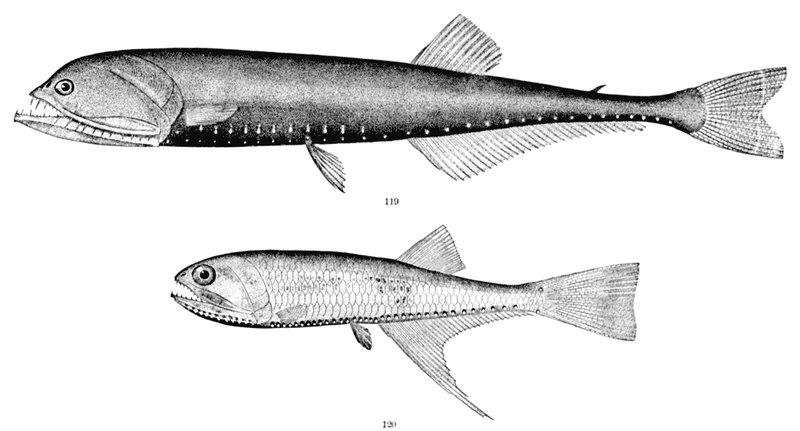 Top image from Oceanic Ichthyology by G. Brown Goode and Tarleton H. Bean, published 1896, via.